Telecare equipment is linked to a telephone alarm unit which, viagra canada when activated, click automatically generates an alarm call to a control centre so that an emergency response can be raised whatever the time of day. Alarm pendants, either worn around the neck during the day or kept close at hand during the night, are used to call for help. Simply pressing the button sends an alarm to a control centre where staff can arrange for you to get the help you need immediately. Other detectors can also give early warning of natural gas, smoke, extreme heat, flood, a fall, or show if someone has left the property or managed to get in or out of bed safely. The service is available to anyone with illness, sight or hearing loss or a physical or learning disability. 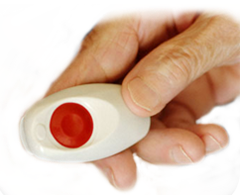 It is also useful for people in the early stages of dementia, at high risk of falling or having just come out of hospital. It is of particular value to those living alone who wish to remain living independently in their own home. The equipment and installation are free but there may be a small charge for the monitoring service (the call centre that will respond if any of the alarms on the equipment are triggered). You may be able to get help with the cost of the monitoring service. The Knowsley Access Team is the first point of contact for information and advice. Contact them from 9am to 5pm, Monday to Friday on 0151 443 2600. When you contact us we will call you to discuss your situation and make sure that we’ve got our facts straight and then follow this up with a visit to your home to discuss what help is needed.